Notice how this .Rmd file executes code in bash and python. You can open the file here in RStudio Cloud. Note that chunk options like echo and results are all valid when using a language engine like python. 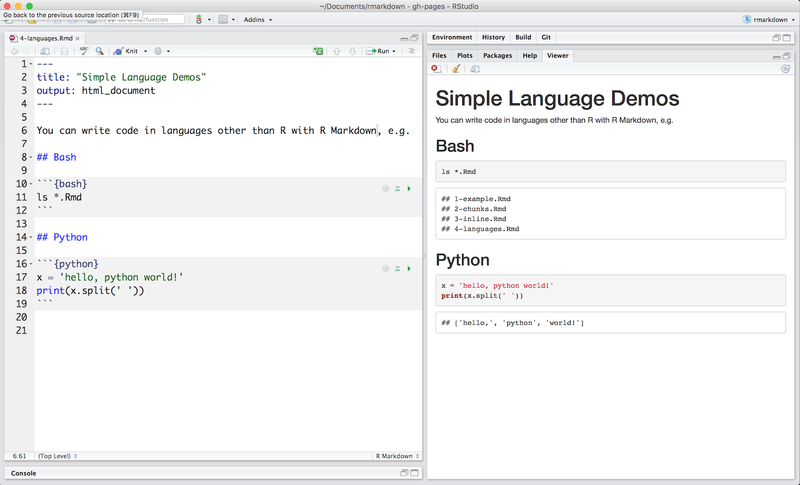 Learn more about using other languages with R Markdown in knitr Language Engines.